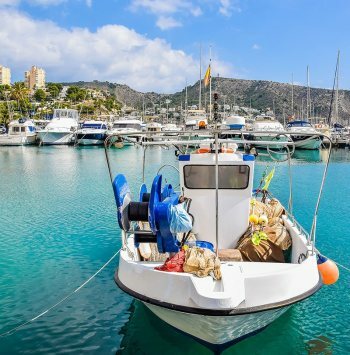 Having a property in Spain means being able to enjoy the sun and the beach at any time of the year. Imagine relaxing in the solarium of your villa while you watch the immensity of the Mediterranean Sea. Imagine a day at the beach, your children playing in warm, clear waters while sunbathing in a hammock. Have you ever thought about the incredible sensations of watching a sunset with your partner on the seashore? Now you have the opportunity to savor all these things if you acquire one of our properties in Spain. In Spain, the sun and the beach always wait for you. 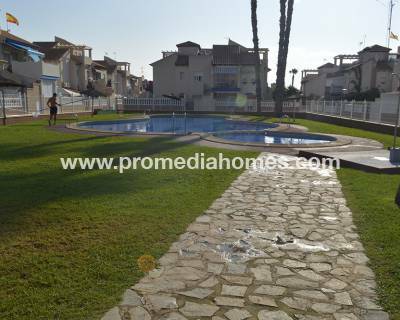 If you like the sun and the beach, having a property in Spain is the best option. 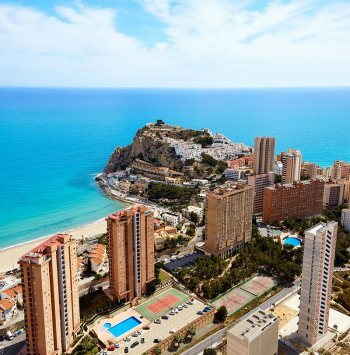 Our real estate is specialized, especially in properties on the Costa Blanca and Costa Calida, it is in the Spanish east where we find wonderful beaches and magical sea coves. Along its kilometers of varied coast we can find extensive beaches of fine and golden sand or beaches of rocks and wild palm groves. 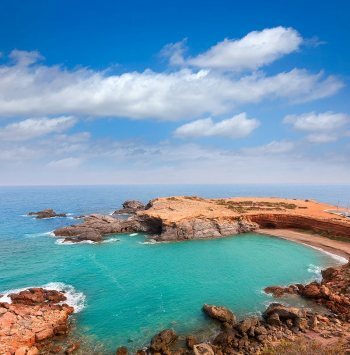 We also discovered spectacular cliffs and amazing sea coves where you can practice a variety of water sports. In addition, the climate of this environment guarantees us the sun throughout the year, with a rate of rainfall practically zero, so it is perfect to be on the beach or sunbathing. 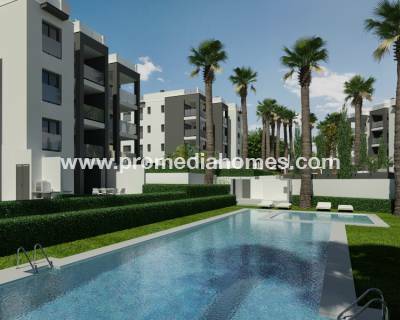 In these idyllic places we give you the opportunity to choose the type of property you prefer. 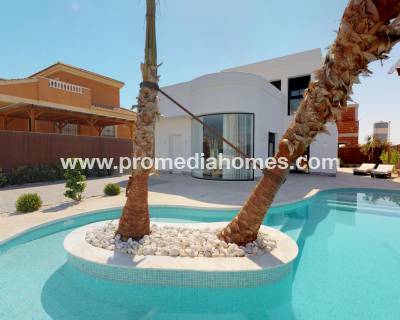 We offer luxurious villas with private plot where you will enjoy your incredible pool or your large solarium. Maybe you want to create your own garden or your small garden to consume the products you harvest. Within the wide variety of properties we have apartments of different sizes and distributions, beautiful townhouses and bungalows where you can socialize in your community urbanization with the rest of your neighbors. Trust in our professionalism and let yourself be advised by our experience. 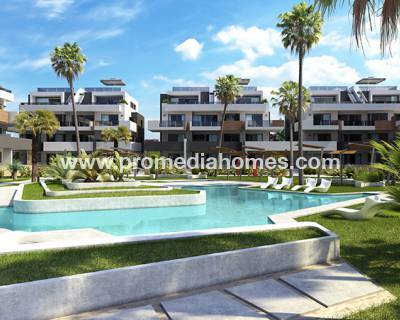 We will only offer you that property in Spain that suits your needs. Tell us how is the home of your dreams and we will offer it to you. 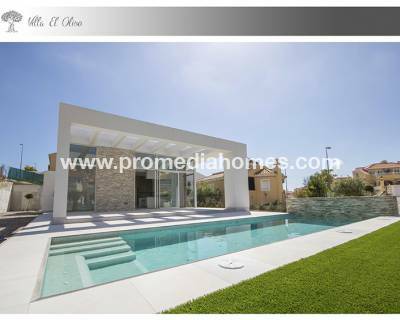 Visit our extensive portfolio of homes in Spain that appears on our website. If you want more information about the ones that interest you, get in touch with us through the contact form and we will get in touch with you as soon as possible. You can also send us an email to info@promediahomes.com with the questions you are asked. We will be happy to help you find your property in Spain.